WEST PALM BEACH, Fla. — A new website announcement reveals an exciting new phase in an ongoing partnership between THAT Agency and Synergy Homes. THAT Agency, a renowned Palm Beach digital marketing firm, has been managing Synergy Homes' website and digital marketing for more than a year. During that time, Synergy Homes has become a well-known energy-efficient home builder in St. Lucie County and in Palm Beach County. To take the custom and model home builder's digital presence to the next level, THAT Agency proposed a redesign of the Synergy Homes website at synergyhomesfl.com. The goals of the website redesign were to better express the visual appeal of the builder's elegant South Florida homes, to showcase online content in a more accessible way, to increase onsite website engagement statistics and to improve the overall website user experience. To meet the goals of the redesign, THAT Agency created a clean, responsive, mobile-friendly website design that reinforces the model and custom home builder's own aesthetic. The design features colorful drop-down menus that activate upon hovering to make navigation user friendly — ensuring accessibility and taking visitors to important web pages within the site in three clicks or fewer. In addition, the website home page includes an interactive video walk-through that shines a spotlight on the home builder's signature architectural details while Synergy Homes' featured listings and energy-efficient floor plans are presented with full-color photography and lush imagery to provide visitors with a visually rich user experience. Throughout the new website there are prominent calls to action to encourage each visitor to call or submit an online sales inquiry as well as to schedule a model home walk-through. These calls to action are a website design best practice proven to increase onsite engagement. Yet another best practice employed in the redesign of the Synergy Homes website is search engine optimization (SEO). 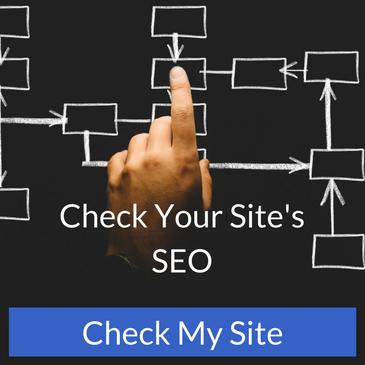 According to Sarah Harper, Project Manager for THAT Agency, "To help maximize the website's search engine visibility, the site's content includes carefully researched and targeted keywords and fully optimized meta descriptions." The new site is also easy to maintain. Built on WordPress, the world's most popular content management system, Synergy Homes' new website allows site administrators quick and easy access to add new content and make edits as needed. This practical feature also allows for continuous improvement of the website in alignment with a growth-driven design approach, positioning Synergy Homes' online presence for long-term and sustainable business growth. Synergy Homes proudly serves custom and model home buyers in Port St. Lucie and West Palm Beach, Florida by building high-performance, energy-efficient houses that deliver exceptional value, cumulative cost savings, undeniable comfort and – most importantly – the sense of home. A certified Energy Rater inspects every Synergy-built home, and each Gold and Platinum Series home assessment is backed by a commitment to a year of free energy bills. For more details, visit synergyhomesfl.com, call 561.249.6510 (Palm Beach County) or call 772.210.7970 (St. Lucie County). Proudly serving businesses of all sizes – from startups to Fortune 500 companies – across the United States, THAT Agency is an award-winning West Palm Beach digital marketing firm. In addition to designing and developing new websites, THAT Agency creates and executes next-level digital marketing strategies for search engine marketing, social media marketing, email marketing, inbound marketing, and more. For additional information or to submit a request for proposal (RFP), visit thatagency.com or call 561.832.6262.